Businessman Clive Palmer claims that tailings owned by his companies in Queensland contain cobalt worth $6 billion. 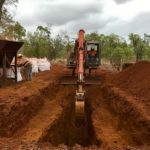 Palmer today said that his QNI Resources and other companies had mined nickel ore at Greenvale that was high in cobalt for more than 40 years and then deposited the tailings without extracting the increasingly valuable technology metal. Cobalt prices have surged in recent years, reaching record highs of more than $US90,000/t in 2018, due to the metal’s expected demand for batteries and electric vehicles (EVs). Palmer said a survey confirmed that the tailings had more than 69,000t of contained metal. “The inventory owned by QNI and located on their freehold property at Townsville is a major asset of the QNI group, worth billions of dollars,’’ Palmer said. Australian Mining reported yesterday that QNI had approved plans to reopen the Yabulu Nickel Refinery, which has been closed for more than two years, near Townsville. Palmer said his companies had more than $500 million of cash in Queensland banks to execute this move. QNI has installed a cobalt refinery at Yabulu and plans to process the tailings at the site for the first seven years of operations following the restart. The company would ship the cobalt through the port of Brisbane in containers. 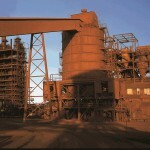 It also intends to extract nickel from the Greenvale ore at the refinery as part of the processing. Palmer is considering further investment in the refinery to double its production capacity. He said more than a billion dollars had been invested in Line 2 by BHP and an additional investment of $200 million could see production increase to 75,000t/y. “This is good news for Townsville. A full technical study has been completed to take the necessary steps to commence production,’’ Palmer said. QNI would continue to operate under the terms of the Queensland Nickel Act, Palmer added, which has been passed by the Queensland Parliament. 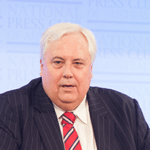 Palmer also said that he had received an offer from foreign companies and overseas investors to buy the refinery, but he knocked them back, as the facility was 100 per cent Queensland owned and he wanted it to remain a state-owned operation. 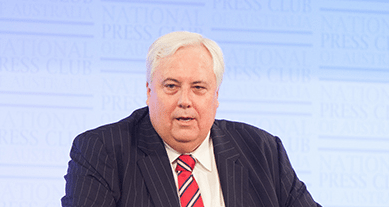 “So many industries have closed in North Queensland in recent times and overseas investors have just taken their money and abandoned North Queensland,’’ Palmer said.